Thanks to SHORPY for the image. Hiram Walker in his cellar, circa 1900. Here's a quick reminder, that in our iPhone-leashed, Droid-obeying, technology driven lives, there is still a splinter remaining of simple times. 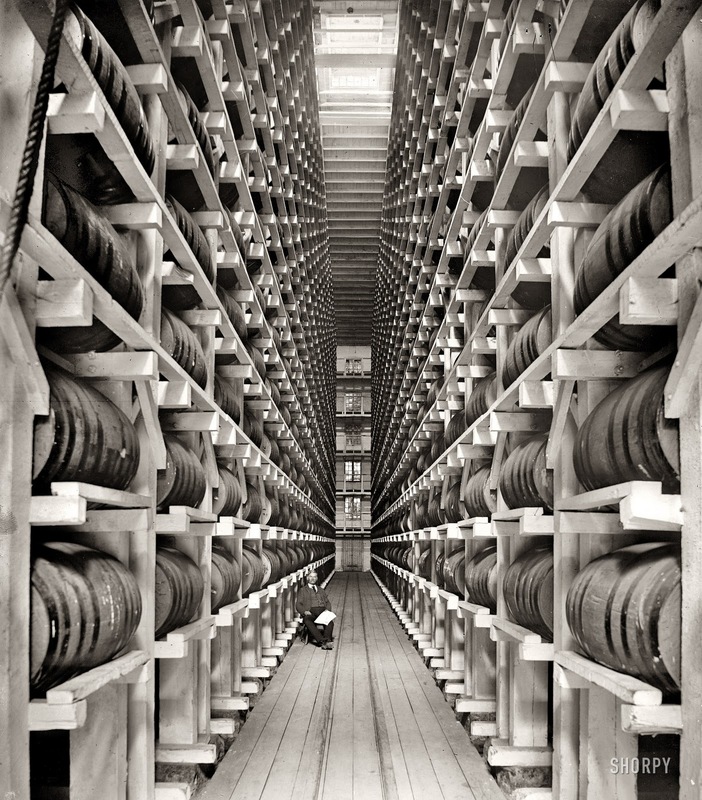 This image is of Mr.Hiram Walker's cellar (He's the head honcho behind Canadian Club whiskies) and he was quite the proud man. It's amazing to think that in the 110 years since this photo was taken very little has changed. The barrels have long since been replaced. Hiram himself have had many successors... but the process and principals live on. As a truly beautiful part of Ontario history (Yes the original distillery was in Michigan, but it came North of the border durring prohibition), this image shows just how far we've come, and yet what tradition we've brought along for the ride. When this was bottled, I was 10 years old. When these barrels were emptied, people spoke of this new thing called a car that they would one-day see make its way north... today I drink the same whisky, while reading about the advancements in anti-matter energy conversion in CERN. What will tomorrow bring? The future is ours to behold.